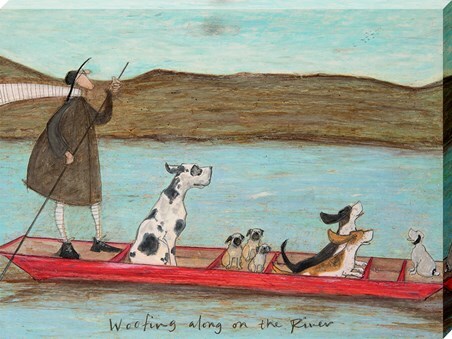 Ears waving in the breeze, this small pack of friends look happy to be woofing along the river together! 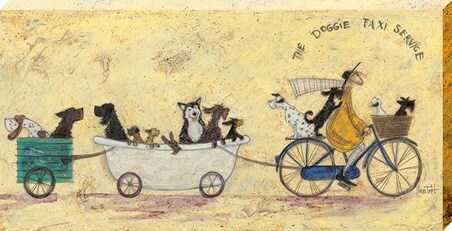 Mr Mustard and his chubby little dog Dorris have enlisted the help of a few other pooches as they sail toward their destination, where I'm sure there will be a succulent bone or two waiting for them! 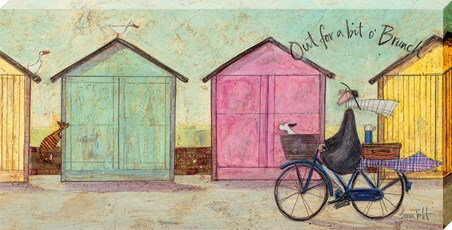 With lively textures and brush strokes, this is truly a beautifully endearing canvas print, perfect for your home. 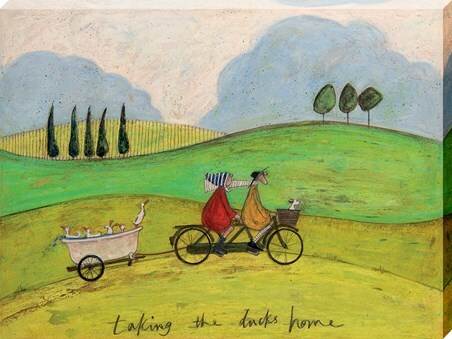 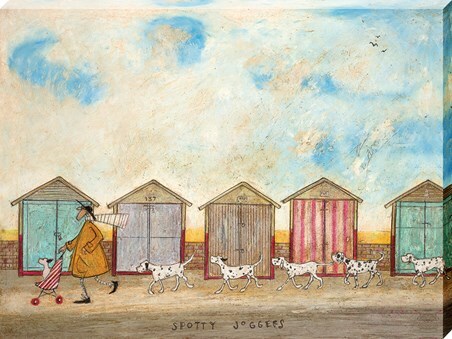 High quality, framed Woofing along on the River, Sam Toft canvas print with a bespoke frame by our custom framing service.